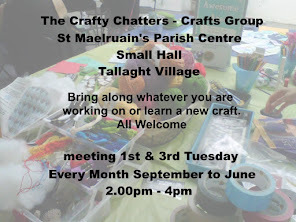 2.00pm - Crafty Chatters reverting to monthly meeting in the small hall. Bring along whatever craft you are working on or bring a new one! 10.00am - First Wednesday of the month Holy Communion with laying on of hands for the sick. 3.00pm - Bible Study of the readings for the following Sunday, upstairs Parish Hall @ parish centre. 11.00am - Holy Communion. 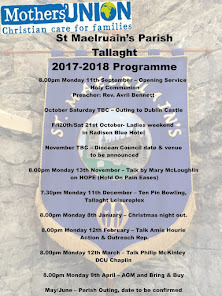 Church Review mag & Parish Newsletter out. 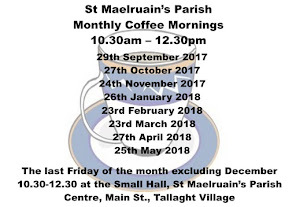 8.00pm - MU opening service in St. Maelruain’s, Rev Avril Bennett. 8.00pm - Mother’s Union Diocesan Service in Christchurch Cathedral. 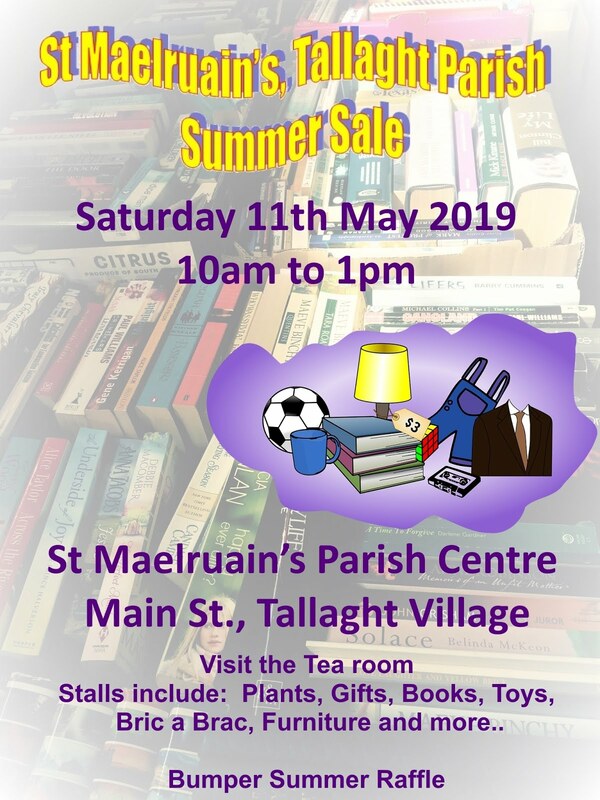 7.00pm - High Ways to Leisure Time, talk by Mick Kinahan, Tallaght Library. 3.00pm - Bible Study of the readings for the following Sunday, upstairs P’Hall. Myles Dungan’s Great War Road Show day long History Conference ph: Tallaght Library 4620073 for more info. 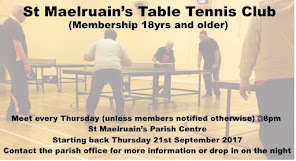 Bowls club return after the summer break.